Description: The TELSTARS ROCKnROLL BAND is fast becoming a household name in Wasaga Beach with their five-piece band that will bring you back to the 1950's & 60's era of your '57 Chevi, ducktail haircut and poodle skirts. The Telestars Rock'n Roll Show Band have entered the contest of "Battle of the Bands" scheduled for December 29th in Collingwood. A busy year is already underway for the band with their upcoming dates scheduled at Marlwood Golf and Country Club in the new year. Joining Dianna on BEACH CORNER in our studios are Debbie, Rene, Frankie D and Ricky. BEACH CORNER is available ON DEMAND anytime on any device. Please enjoy and SHARE! 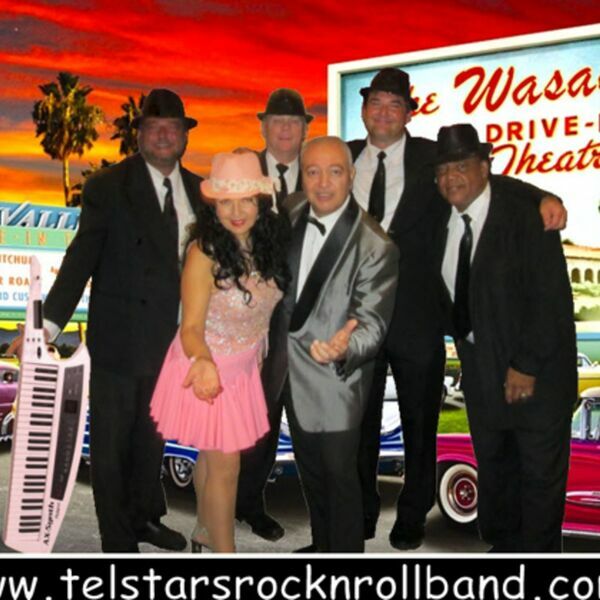 The TELSTARS ROCKnROLL BAND is fast becoming a household name in Wasaga Beach with their five-piece band that will bring you back to the 1950's & 60's era of your '57 Chevi, ducktail haircut and poodle skirts. The Telestars Rock'n Roll Show Band have entered the contest of "Battle of the Bands" scheduled for December 29th in Collingwood. A busy year is already underway for the band with their upcoming dates scheduled at Marlwood Golf and Country Club in the new year. Joining Dianna on BEACH CORNER in our studios are Debbie, Rene, Frankie D and Ricky. BEACH CORNER is available ON DEMAND anytime on any device. Please enjoy and SHARE!